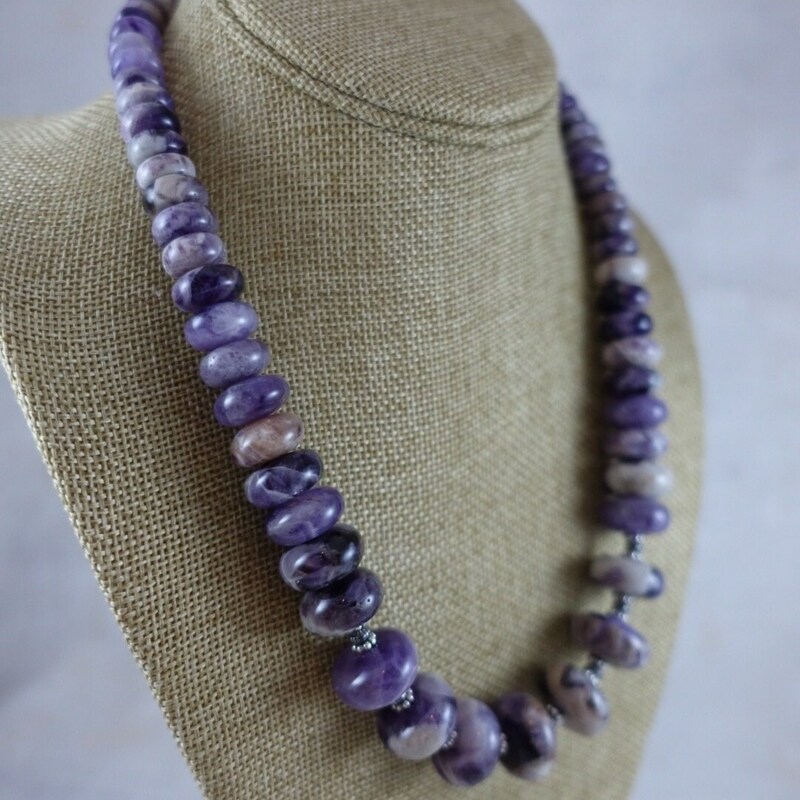 "Fearless" is a graduated chevron amethyst rondelle necklace. The necklace is priced at $185. Be daring, bold, and unapologetically you in this beautiful, one-of-a-kind necklace.